My Grandma Esther often talked about Delancey Street. Born in New York City in 1898, she would often regale me with stories about growing up in NYC before there were cars. I knew she had a strong connection to this one street in the Bowery, but I was not sure why. I always loved the movie, “Crossing Delancey,” because I felt like I knew Delancey Street from my paternal grandmother’s stories. It shows a more modern Delancey Street, but the feel and atmosphere of this ethnic area remains strong in the movie. Ad about my grandfather’s tailor shop. 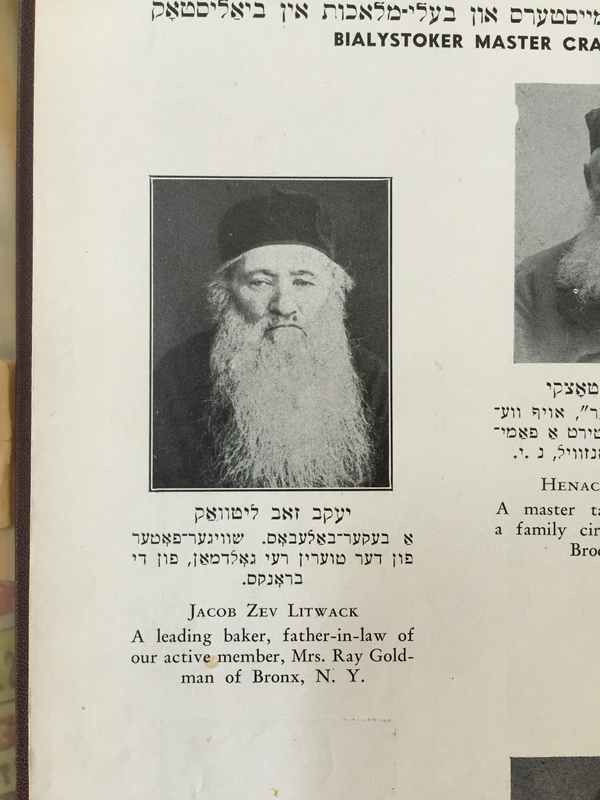 Then this summer I found a wonderful ad in an old Bialystoker Stimme, I found in my parent’s Catskills home. 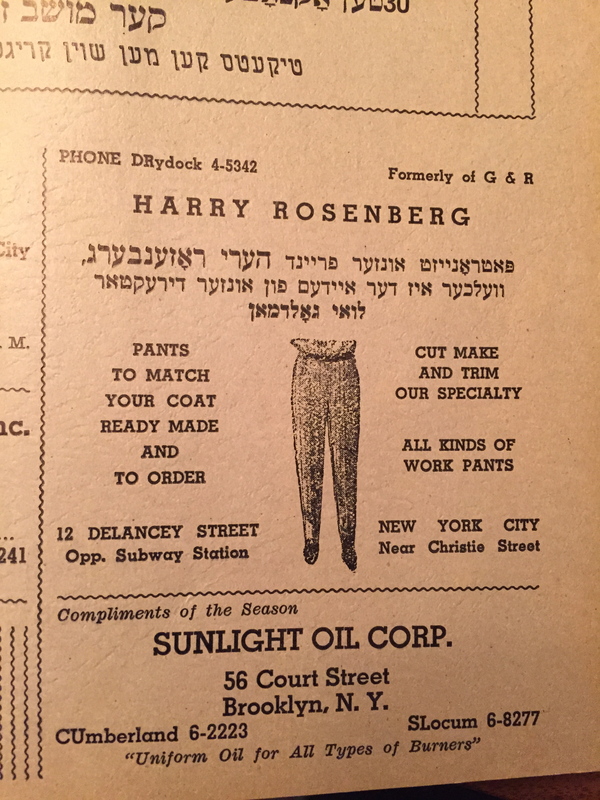 The ad is for my Grandfather’s tailor shop at 12 Delancey Street. 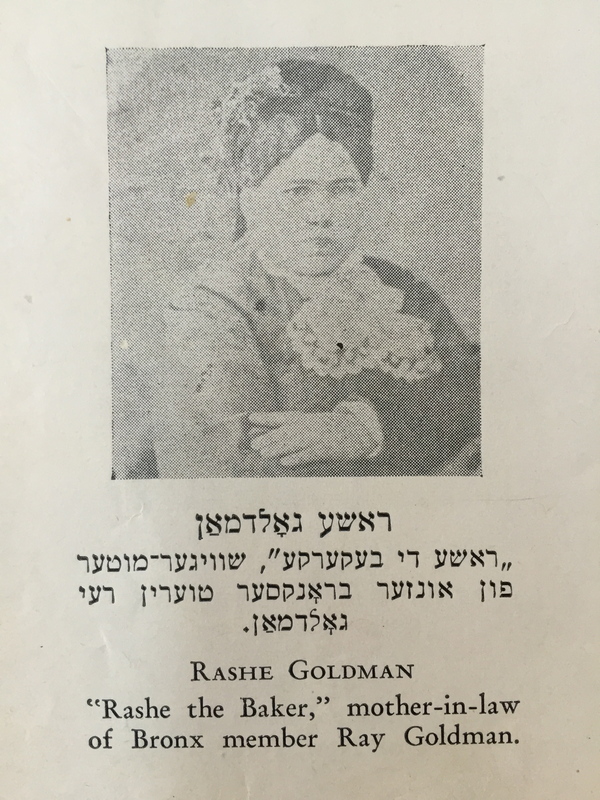 It says in the top right, formally of G & R. The G was for my great grandfather, Louis Goldman. My Grandpa Harry worked with my great grandfather as a tailor, and eventually married Louis Goldman’s daughter, my Grandma Esther. I love how the ad is in English and Yiddish. 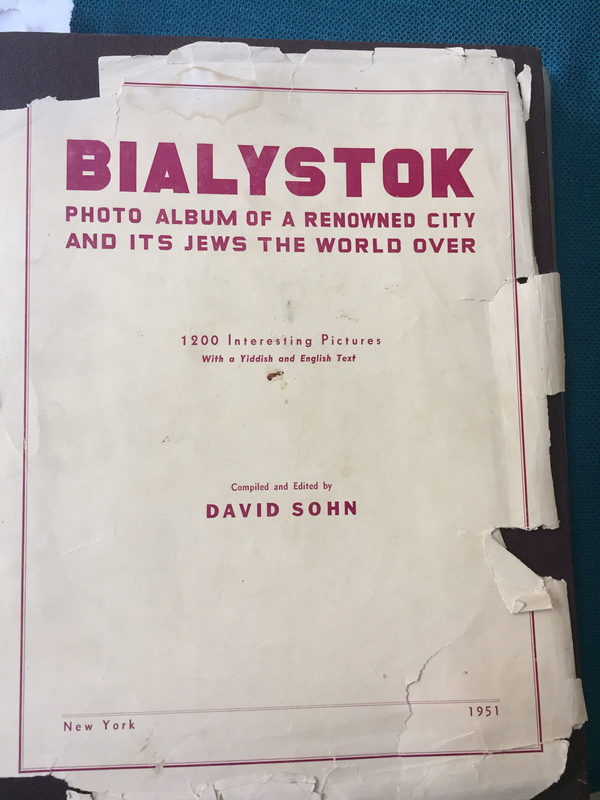 My great grandparents were from the Bialystoker area of Poland/Russia. 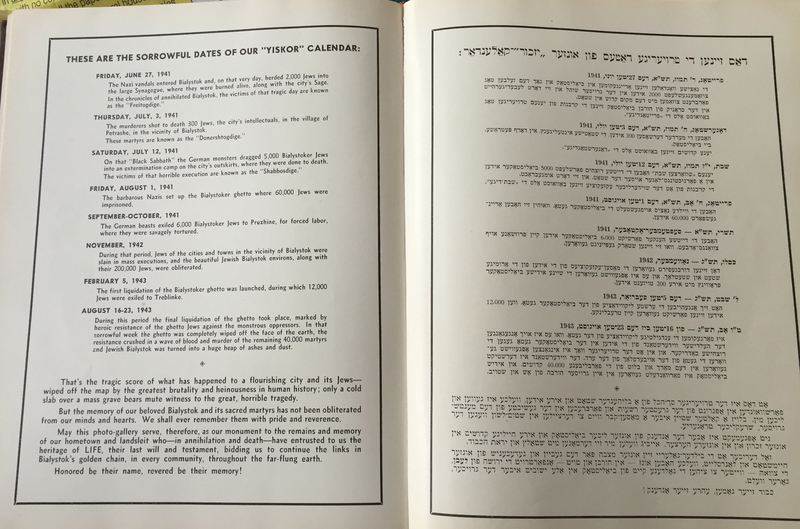 They spoke only Yiddish at home. In fact my Dad spoke Yiddish as his first language. So it makes sense that my Grandfather would advertise his business in both languages, especially in this bi-lingual publication. 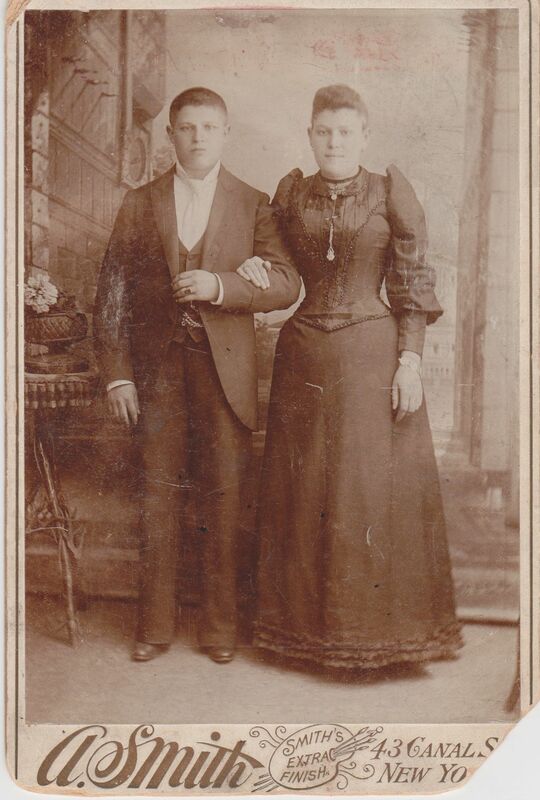 My Great Grandfather Louis and Great Grandmother Rae in 1894 around the time of their wedding. 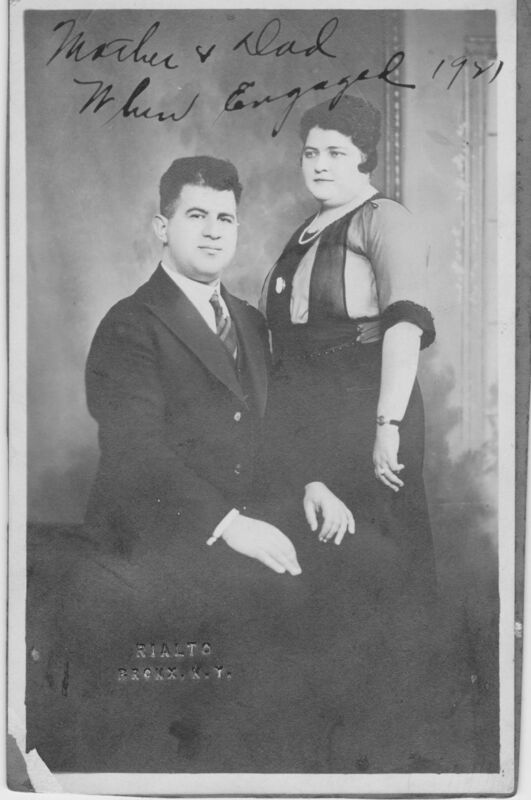 Grandpa Harry and Grandma Esther on their engagement in 1921. They not only worked together, my great grandparents, my grandparents and eventually my Dad and his siblings all lived together. With her Dad and her future husband working on Delancey Street, no wonder that my Grandmother had so many stories about being there and what it was like. She would tell me about the horses, the peddlers and the crowds of people. She told me how you had to be so careful when you crossed the street. She could even tell me about the first cars that went up and down Delancey and how it would frighten the horses. Delancey Street was one of the main ‘drags’ in the Lower East Side; an area with shops, restaurants and so many people. To have a store on Delancey Street was wonderful. And the tailor shop was so close to Bowery Street! The street the Bowery Section was named after! I never knew that is where his tailor shop was located. By the time I arrived my Grandfather was long retired, and did most of his sewing in the spare room of their apartment. Google Maps also let me see that there is now a bar in the building where the tailor shop was located. The bar covers both 10 and 12 Delancey Street. I am not sure how my grandparents would feel about that. But I am sure it is still the same building! Just a few doors from my Grandfather’s tailor shop was the Bowery Ballroom. This building was completed in 1929 and stood empty for some time, but eventually became a high quality store…so close to my grandfather’s tailor shop. Further down Delancey Street was Ratner’s kosher dairy restaurant. 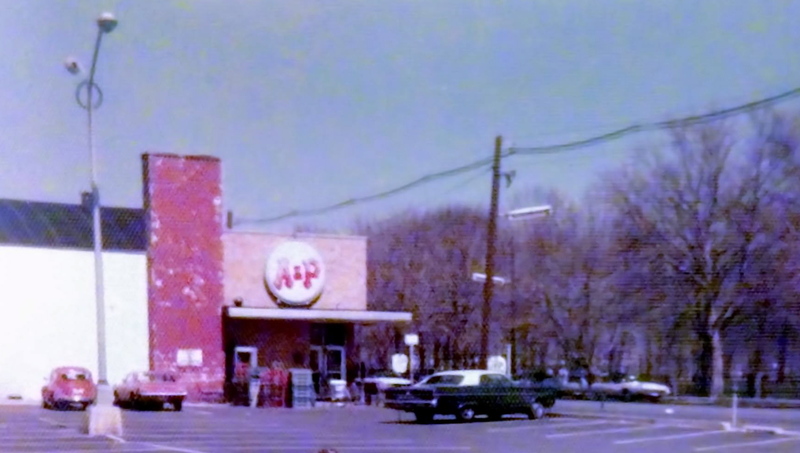 I remember going to Ratner’s with my parents and grandparents. But perhaps we went to the one on Second Avenue, and not the one on Delancey Street. I cannot imagine we would have gone there and my Grandmother not pointing out where the tailor shop had been located. The wonderful Tenement Museum at 97 Orchard Street is just off Delancey Street as well. It is just a few blocks from the tailor shop. I wonder if the people who lived there visited my great grandfather or grandfather and their shop? It is possible. My great grandfather was born probably in the early 1870s and married my great grandmother Rae in 1894. My grandfather was born in 1889. I am not sure when the store opened on Delancey Street, but it was there in the early part of the 20th Century. My Grandpa Harry was a great tailor! When I studied sewing in high school, it was my Grandpa who taught me how to match plaids and how to make pockets perfectly. He taught me about French seams and other important sewing techniques. When my grandparents moved from their three-bedroom apartment into a much smaller place in Co-op City, I was distressed to learn they had given away his old treadle sewing machine. But since I had no space for it, I guess it had to go. It should have gone to a museum. This was the last connection to the tailor shop. In the end it does not matter. The most important information for me is the fact that the tailor shop was on Delancey Street! Now I can let my imagination run wild. I can watch “Crossing Delancey” with different eyes. Looking for the location of my family’s tailor shop. And thinking about Delancey Street and my family.